Lewis Hamilton's decision to join Mercedes was "emotional" and not based on knowledge of the team's potential, according to Jenson Button. Hamilton decided to join Mercedes after the 2012 Singapore Grand Prix, in which he had to retire from the lead. 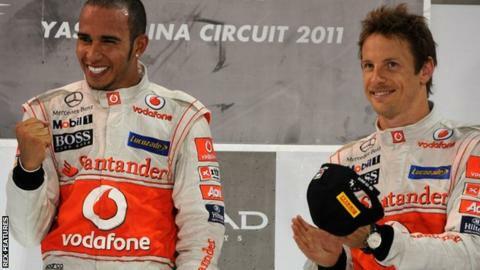 His then McLaren team-mate Button said: "Lewis is one of the quickest guys ever in an F1 car but he did not know [they would be so quick] when he signed. "We're all emotional, he took it emotionally, but it has paid off." Hamilton, who has won the past two titles, has always insisted the decision was based on Mercedes' plans for the future, after several weeks of persuasion from then team boss Ross Brawn and non-executive chairman Niki Lauda. Brawn and Lauda sold Hamilton on their plans for the new turbo hybrid formula, which they have dominated since its introduction in 2014. But at the time of Hamilton's decision, Mercedes were far less competitive than McLaren, for whom Hamilton won four races and secured seven pole positions in a tightly contested season. Hamilton's relations with McLaren, and particularly chairman Ron Dennis, had soured and his retirement from Singapore with gearbox failure was one of a series of problems that year that prevented him mounting a more serious title challenge as the championship was fought out between Red Bull's Sebastian Vettel and Ferrari's Fernando Alonso. Button said: "I don't think anyone thought he was doing the right thing and at that moment in time it wasn't the right thing to do. 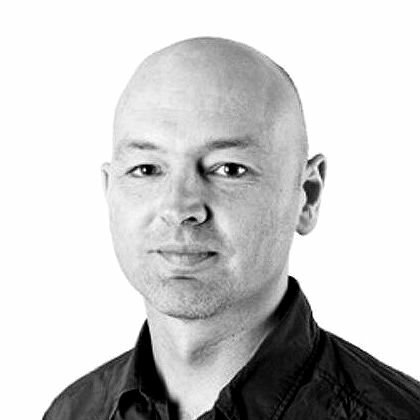 "But he has walked into a team that has improved dramatically. They have done an amazing job but you couldn't have envisaged that at that moment in time. "I think he was upset with the situation he had in McLaren. It was off the back of a DNF when leading in Singapore." The most unpredictable Premier League season? Read more on The most unpredictable Premier League season?